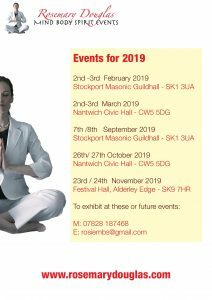 Mind Body and Spirit Events in Cheshire, If You Are Looking for Complementary and Alternative Medicine Event , Or A Health & Healing Festival Look No Further In The Greater Manchester Area. We Cover the Northwest Region. Including Nantwich, Crewe , Stockport, Northwich, Alderley Edge Locations. So Whether You Are A Visitor Or An Exhibitor These Are The Event To Be At. A Warm Welcome Awaits You. At Our MBS Events You Can Experience a great day out! Focusing On Bringing Like Minded People Together Its Just Such A Great Community Feel. A Lovely Social Experience . We want you to enjoy the wide range of experiences on offer at each of our Mind Body Spirit Events and at the same time we want you to feel confident that you are in the hands of people who know what they are doing – and that they do it well. For spiritual upliftment, look no further. Join us at our next Mind, Body and Spirit Festival and we will ensure that your time with us will leave you feeling truly uplifted. Experience the ambience throughout the event and enjoy the setting. 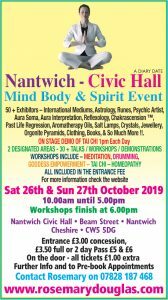 Spend time soaking up the atmosphere, visiting stands and stalls and meeting the healers and joining in workshops of your choice there is so much to see enjoy and do all enhancing your own Mind, Body Spirit experience. 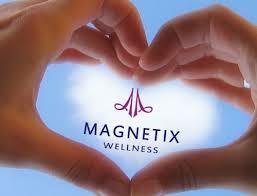 These events bring together all aspects of mind, body, spirit and complementary medicines. We also provide a diversity and wealth of education and information. 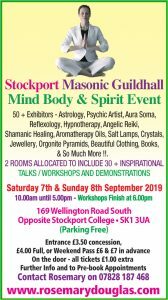 There is always a lot to learn at a Mind Body and Spirit event, we work together in order to provide a variety of the best workshops to support and guide you and maybe to encourage. And when you leave, if you feel you’ve learned something new, or you leave feeling brighter and more uplifted, then we will have done our job. The Mind Body and Spirit event is all about finding many ways to raise your spirit, you will truly have a great day, or if you choose to, a full weekend to remember. 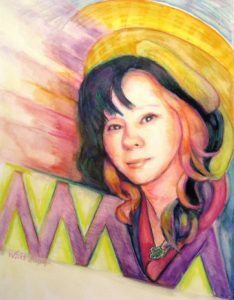 These events are imperative spring boards for your Mind, Body and Spirit journey, sometimes enlightening, sometimes uplifting. The light bulb moment that we all experience, you know, those coincidences? But there is no such thing as coincidence in life is there? 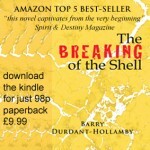 Interesting times for your Mind Body and Spirit maybe we can help you with fitting the jigsaw of life together. And so it begins. Mind, Body, Spirit also offers that sense of community and connectedness that is so imperative for positive motivation in a collective and non- collective sense. 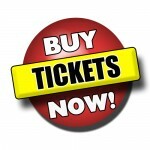 A bringing together of like-minded people who join the meditations, mediumship demonstrations, self-healing techniques, indigo education for spirited learners, numerology, astrology, palmistry, tarot, angel workshops and more, and each event is different but always aiming to provide a very personal service.